Photo: Folk art decoration on ceiling beams. 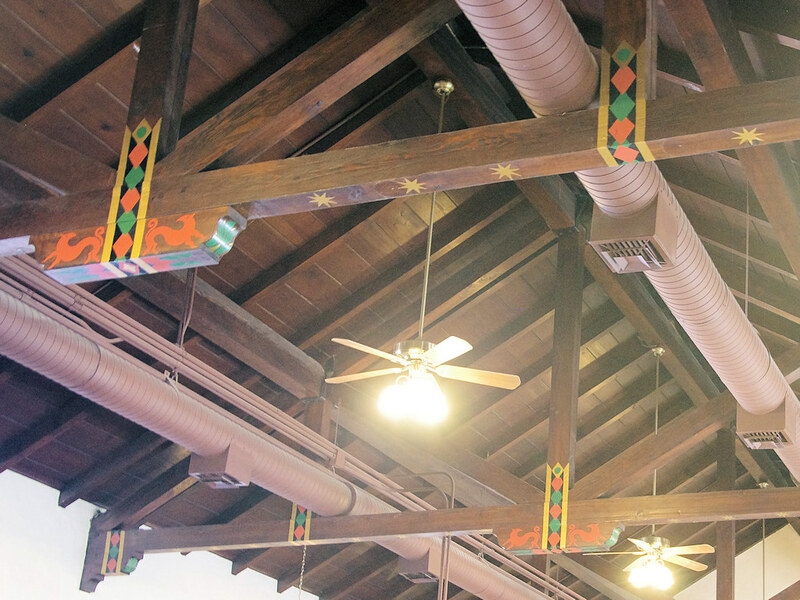 Eastern Mojave Vegetation Folk art decoration on ceiling beams. 7th Avenue, Greeley, Weld County, Colorado: at depot. Field Notes: 10 Nov 2016. Other photos about Geography - Weld County, CO or Greeley.